How Is Your Relationship With Caffeine? Understand how over-consumption of caffeine will gradually wear out your adrenal gland and cause fatigue and exhaustion. When you consume caffeine, whether from coffee or carbonated drinks, it begins to artificially stimulate your brain neurons, and triggers your adrenal glands to produce adrenalin. Adrenalin is what gives you that ‘burst of energy’ with the morning cup of coffee. Caffeine affects your body like any drug. You start taking it slowly, but as your body develops a tolerance to it, you need more and more to feel the same effects. Over the years, it forces your glands to secrete more adrenalin hormones even when there is not much left to give, and they keep digging deeper and deeper. Over time, this demand makes you more and more tired and wearing out your adrenal glands. Eventually, your body reaches a point where you can’t be without caffeine, or you will experience withdrawal symptoms. You know you’ve reached this stage when you consume caffeine and it doesn’t keep you awake at night anymore, compared to a person who stays awake the whole night from drinking just a small cup of coffee. Sounds familiar? Your body has become drained of energy from the fluctuations of the temporary ups and downs stimulation from caffeine. A cup of coffee a day is probably fine. But, if you need more than a cup to keep you going, you are just promoting a slow-down to your adrenal function. How about switching to drinking freshly-extracted juices instead that will heal and build instead of tearing down? I am a big coffee drinker myself, and should know better. 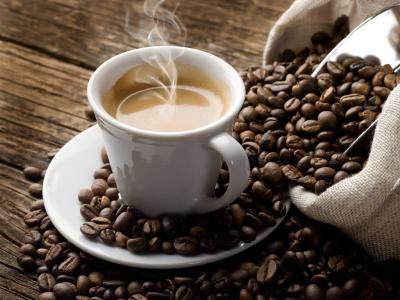 I was reading an article earlier today on the Dr. Mercola website that said roast coffee beans may contain chemicals that increase our risks of cancer (the article was actually about high carb stuff, that when roasted, produces acrylamide, but mentioned other food items too, including coffee).